Adam Discepolo is a New York licensed physical therapist at Professional Physical Therapy. After graduating from SUNY Stony Brook University with a bachelor’s in Health Care Management, Adam went on to receive his doctorate in Physical Therapy at NYIT - Westbury. Adam has been practicing for 3 years and specializes in Sport Injuries, ACL reconstruction, Overhead Athletes, Total shoulder arthroplasties and general post-operative rehabilitation. Adam is also a member of the APTA – American Physical Therapy Association, APTA Orthopedic Section and APTA New York Section. Andrew Smith is a New York licensed physical therapist at Professional Physical Therapy. After graduating from The College of New Jersey with a bachelor’s in Science, Andrew went on to receive his doctorate in Physical Therapy at D’Youville College. Andrew has been practicing for 1 year and specializes in Orthopedics and Sports Medicine. Andrew is also a member of the APTA. George Stamboulis is a New York licensed physical therapist at Professional Physical Therapy. George received his Doctorate of Physical Therapy at NYIT. George has been practicing for 1 year and specializes in Orthopedics, manual therapy and biomechanics. John Nulty is a New York licensed physical therapist at Professional Physical Therapy. After graduating from SUNY Cortland with a bachelor’s in Kinesiology and a master’s in Exercise Science, John went on to receive his doctorate in Physical Therapy at NYIT- Westbury where he also had his Orthopedic Residency. John also has a UG Minor in Psychology, UG Concentration and Exercise Science. John has been practicing for 3 years and specializes in Sport Injuries, Shoulder and Spine rehab, Post-op Rehab, Manual Therapy and Education. 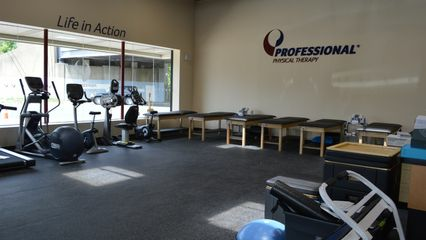 John has certifications in CSCS – Certified Strength and Conditioning Specialist and OCS – Orthopedic Clinical Specialist and is also a member of APTA – Americal Physical Therapy Association, APTA Orthopedic Section and APTA New York Section.